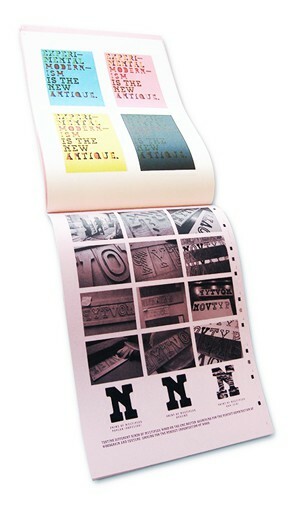 I first met Mark van Wageningen when I was the editor and art director of FontShop Benelux’ Druk magazine. 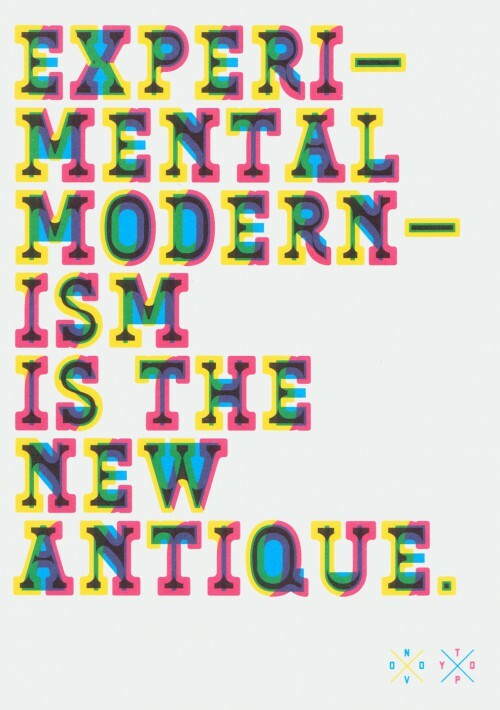 Running a graphic design studio, he was unorthodox in his approach of book covers and posters, and often hacked a typeface together to create an eclectic style of his own. Gradually professionalizing his type design activities, he published his first fonts at Montreal’s 2Rebels foundry. I liked his enthusiasm and stylistic experiments, invited him to contribute to Druk, and dedicated a page to his work in Dutch Type. I also introduced him to Nele Reyniers, a young woman in Gent, who as a student had produced an original typeface, with advice from my friend Evert Bloemsma, and who was invited to contribute to Mark’s Gagarin type family. After 2Rebels was closed down, Mark started up his own foundry, Novo Typo, and continued his unconventional experiments, focusing on layered fonts and coloured type. His BIXA family was a layerable digital family, consisting of deconstructed characters which became readable when layered in various colours. The design was taken to a new level by laser-cutting the fonts into wood. 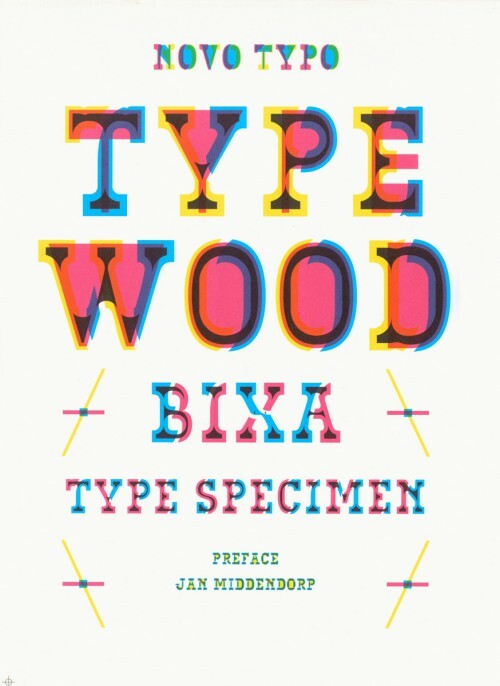 The Typewood book, or brochure, was (mainly) a type specimen of the digital font, but it came out simultaneously with a series of hand-printed wood type posters. In my compact introduction, I put the project into both a historical and a contemporary perspective.